Waiting for holidays to simply ‘happen’ when you have children is tantamount to expecting your fairy godmother to make an appearance, wings and wand intact. The chances are that the holiday, unless other children and a ream of activities are ‘on tap’, could go horribly pear-shaped and find you in the starring role of circus ringmaster responsible for a list of children’s entertainment. If you want ‘down time’ then a little planning doesn’t go amiss. 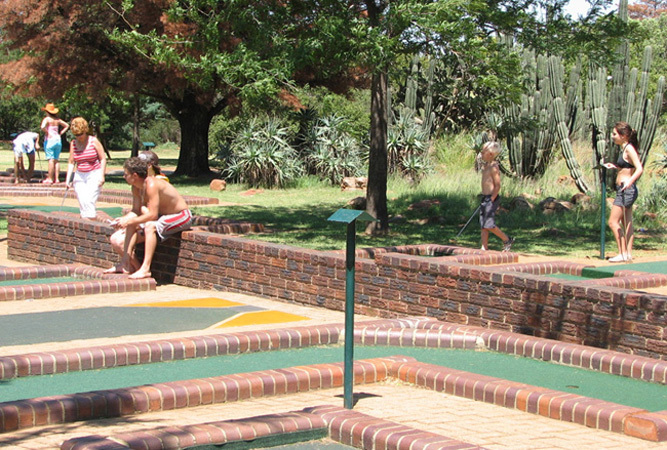 There are several child-friendly venues in South Africa that cater for exactly this. Whilst not everyone’s idea of a holiday is getting cozy with a host of other couples with whom you have only children in common, gone are the days of ‘holiday camp’ style venues. These days some venues manage to create a wonderful balance between keeping your child out of sight and barely in mind, and laying on a number of activities that children and parents can do together. Not all of our choices follow the formula of hands-on entertainment for your children, many of them simply bear children in mind and provide play areas, farm animals and local activities that make a stay that much more pleasant because you have these facilities to hand. The big bonus about this particular choice is the tree houses. You and your family will truly sleep in the trees, surrounded by lovely woodland trails and a forest where you’ll find fairies, literally. It is probably not a good venue for very little ones, but for bigger kids this is veritable paradise. 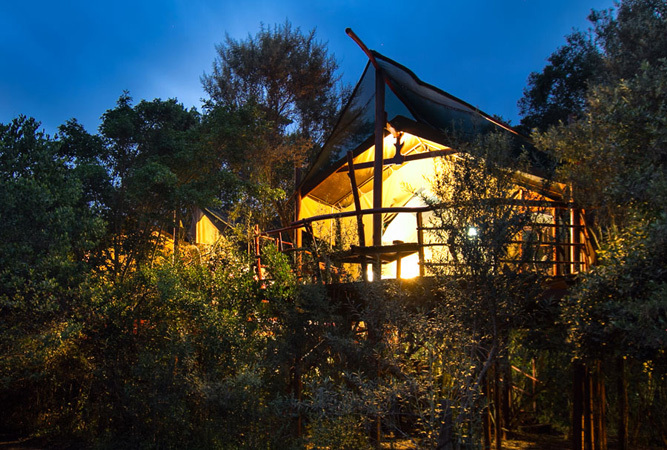 The uniqueness of being in a wooden treehouse/tent, the safety of the surrounds that allows them to explore the forest on their own, the swimming pool and games room with outside braais, and the sheer beauty of the surrounds make this venue a holiday to remember. There is also the bonus of being right on the Garden Route and just outside Sedgefield should you want to wander further afield, where the local markets and beaches mean that you can venture forth. But the towering milkwoods, yellowwoods, candlewoods and accompanying bird life and sense of adventure, should keep you and your children going for days. This venue is a no-brainer. A friend of mine has two small boys and she’s returned twice, which should give you an indication of how they get the balance just right (my friend is difficult to please at the best of times). 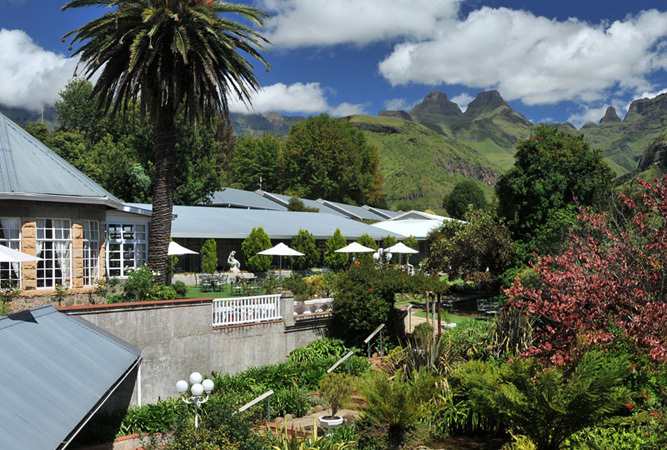 Family friendliness aside, it is also set in the Drakensberg, which has to be one of the most beautiful parts of South Africa and a World Heritage Site. The expansiveness of it all never ceases to overwhelm. Whilst I feel it only fair to warn you that the venue is big (104 bedrooms) which means it can get a little impersonal, the million and one activities for children (with or without you) more than make up for it. Every day there are planned activities during peak holiday season, and there is a separate children’s dining room and babysitters on tap. Five course meals for the adults are the stuff of legends. And the frenzy of so many people easily dissipates into the beauty of the surrounds. Enjoy the gorgeous walks, the views, the amphitheatre and time out. The eco-friendly among you going to love this one. 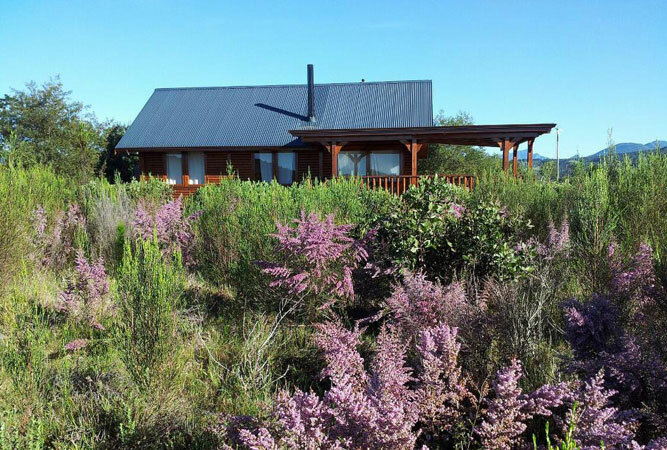 Located perfectly between Wilderness and Sedgefield on a 29 hectare rehabilitated pine plantation, are only four wooden houses powered by a combination of wind and sun that translates into a thoroughly sustainable holiday for the whole family (solar geyser, wind turbines and solar panels). If you’re worried that there is nothing for the kids – think again. Guided nature walks, evening astronomy talks, birding walks and access to beaches, forest, canoeing, cycling, bicycle hire and hiking. Plus, you get to offset your carbon miles buy buying and planting trees – an all-round feel-good holiday! Situated in a peaceful and tranquil setting, only a nugget’s throw (35km) from Johannesburg, Koppisol Klub Holiday Resort in Vereeniging offers peace and quiet to the tired city dweller wishing to escape from the hustle and bustle of everyday life. Koppisol offers a wide variety of entertainment for all the family. If you simply want to relish your freedom as the children enjoy themselves in the warm pool (heated over weekends and school holidays 1/9 to 31/5) or cold water pool, waterslide, foefie slide or trampolines. Add to this table tennis, volleyball, outdoor chess, childrens’ play park and baby pool and there’s bound to be something to do for everybody. The resort also offers organized entertainment during season. Koppisol Holiday Resort offers a variety of well-maintained, well-equipped self catering chalets. You can take your pick between the more luxury built chalets and the coach chalets or elect to spend your break in the tree-lined caravan park. 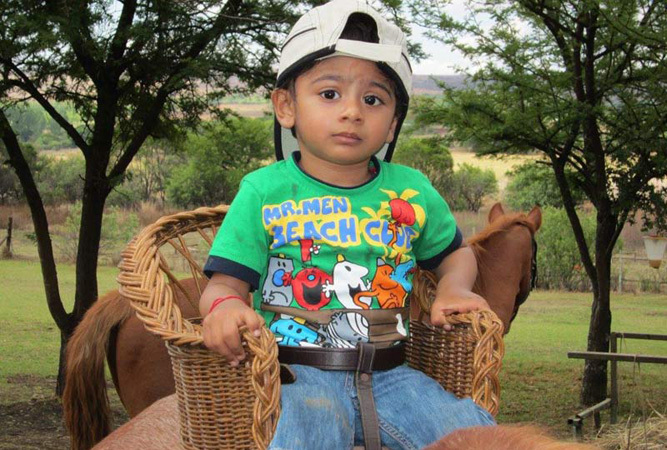 Thabamesti Farm offers family orientated accommodation therefore children are welcome. Ducks, chickens and turkeys and even a pot-bellied pig, give the children a sense of real farm life. A jungle gym and pony rides as well as a children’s pool are also available. Indoor fireplaces and heaters cater for cosy winter nights whilst summer evenings are braai-time in the lovely bomas under the stars. Set against the backdrop of the majestic Langeberg Mountain Range, the Garden Route Game Lodge guards the entrance to the Garden Route Coast. 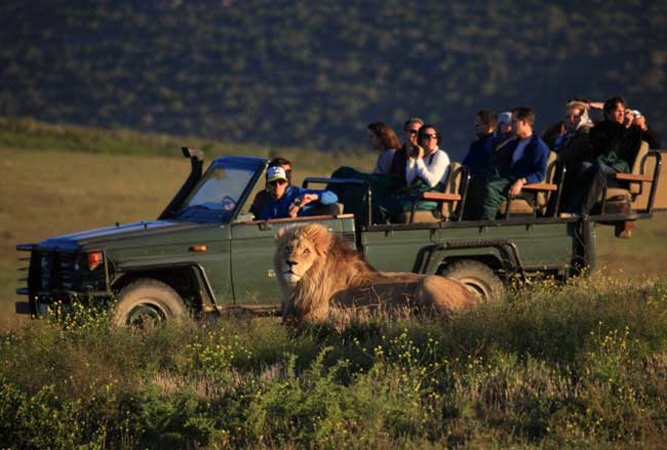 Only 3½ hours drive from Cape Town, this malaria free, private game reserve is home to an abundance of animal and bird life including the Big 5. 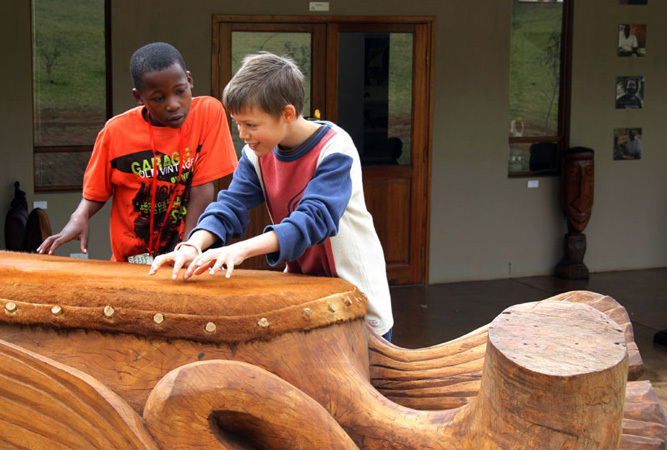 The children’s program at the Garden Route Game Lodge has been designed to stimulate interaction between children and nature. Children are taught to be aware of our environment and the many lessons nature can teach us while having fun at the same time. Children of all ages are welcome at the Garden Route Game Lodge and are specially catered for. Our program operates over weekends and during school holidays. There are a variety of programs on offer to cater for all children including bush survival skills, children’s game drives and guided bush and insect walks, all overseen by our professional caring staff. Madi a Thavha, meaning “water from the mountains”, is set in a beautiful and quiet valley of the Soutpansberg mountains, Limpopo, only 10 km drive from the centre of Louis Trichardt (Makhado). Enjoying the stylish and bright accommodations, excellent food, the warm hospitality and supportive attitude of the Madi a Thavha staff will make your stay a remindable experience. Madi a Thavha offers opportunities for children and their parents to experience a special and exciting holiday. While playing and enjoying the activities, children learn about African culture and daily life of people living in the rural villages. Toys and games are available. Children who like making crafts can join the Madi a Thavha Design team. Children can play traditional music instruments and there is a box with African fabrics and clothes for doing performances. There is a swimming pool at Madi a Thavha and water games are available. The Elim art and crafts tour would be a nice activity for young children. During the tour children can play traditional music and decorate a small clay pot. For families with teenagers the 4 x 4 adventure tour to the north of Limpopo would be an exciting experience. During the tour they will prepare lunch on a fire and it is possible to swim in a small mountain lake.